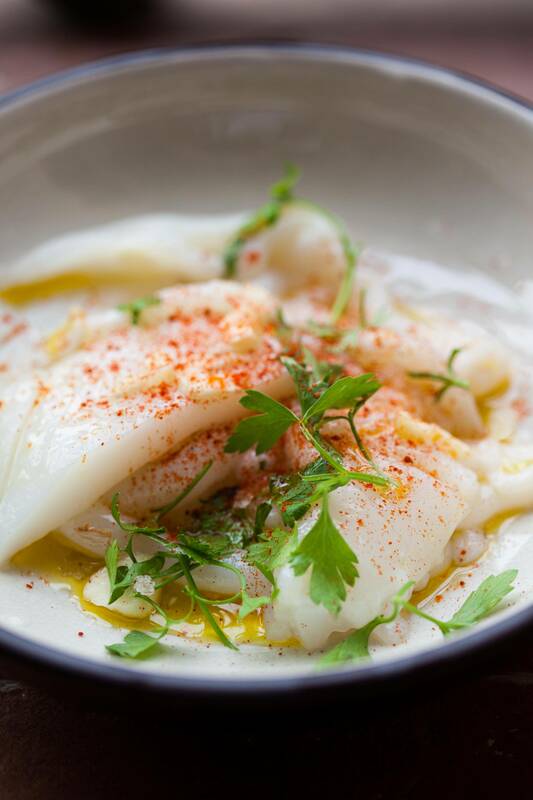 Spanish cuttlefish tapas style was inspired by the garlic marinated pulpo we had at Bar La Vina in San Sebastian. Octopus is not so easily readily available in Singapore, hence we made our version with cuttlefish. 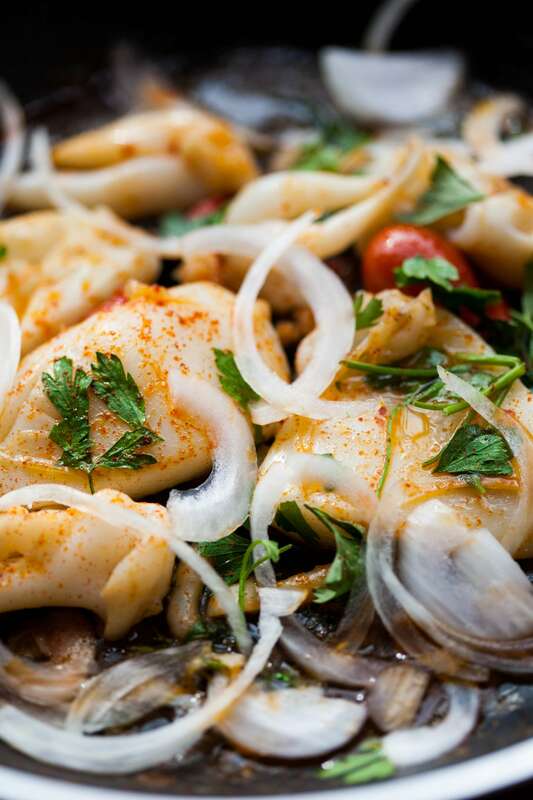 Cuttlefish or “sepia” as it known in Spain is one of those fabulous delights from the ocean. 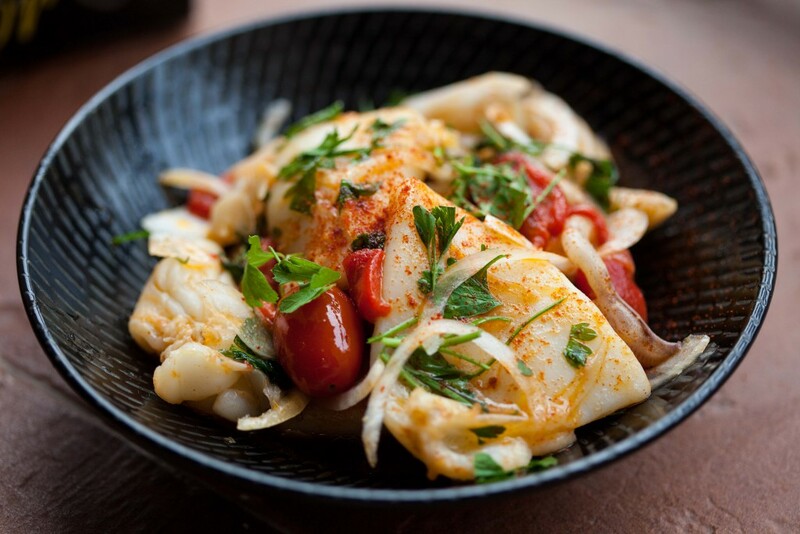 Cuttlefish is in between squid (calamari) and octopus (pulpo), not as chewy as octopus and a little firmer than squid. We were at the Central Mercado at Zaragoza, and we were at this seafood stall and saw these lovely white cuttlefish that has already been cleaned and ready to use. 50g pimento asado (Grilled red peppers) optional. Wash the cuttlefish and remove the heads by pulling away from the body, remove the beak by pushing your thumb through the head and discard. Keep the cuttlefish heads and tentacles whole, slice the body in half lengthways and then cut into one inch wide strips. I prefer them in bigger chunks. 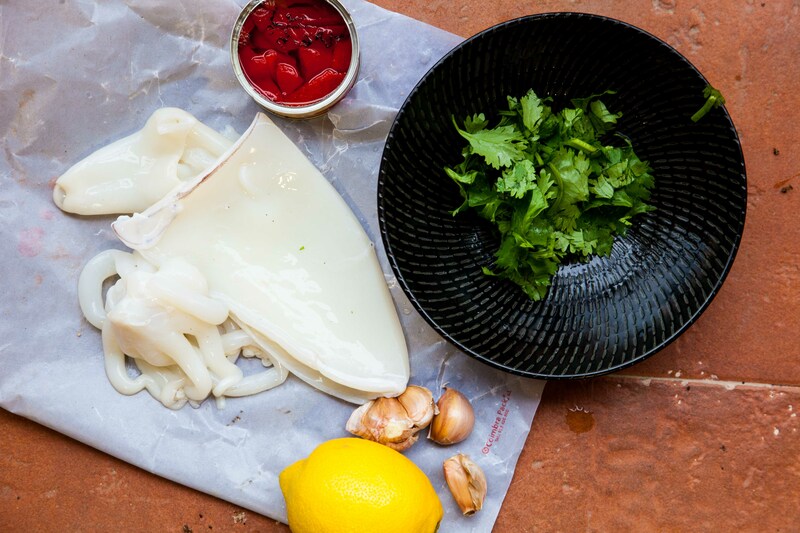 Place the cuttlefish pieces into a bowl and add a drizzle of olive oil, the chopped garlic, pimento, 10g parsley leaves, salt to taste. Add a little freshly cracked black pepper to taste. Mix well, and leave to marinade for at least 3 hours in the fridge. 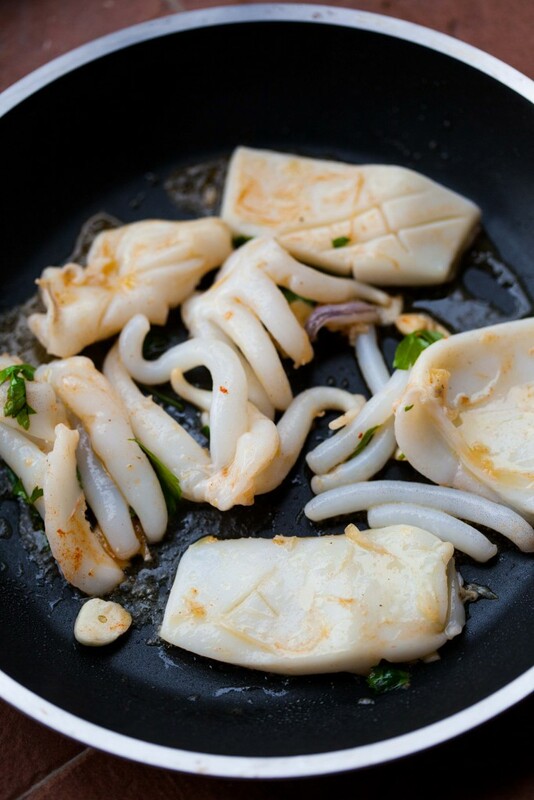 Heat a little olive oil in a frying pan and add the cuttlefish, fry for 3 – 4 minutes or until tender and slightly charred. Remove from heat. Add the finely sliced white onions, more parsley leaves, the juice and zest of 1 lemon. Toss well with the grilled peppers. To finish, drizzle a little more extra virgin olive oil and ready to serve. This can be eaten warm or serve at room temperature. The amazing thing is how the finely sliced onions and the lemons bring this dish to a whole new level. Variation: For a spicier version, can opt to add some freshly cut chillies for the extra oomph! Chilli flakes can also be added to the marinade. This would make a good addition to some fresh salad leaves to make a substantial salad. My version of the marinated pulpo we had at Bar La Vina in San Sebastian.